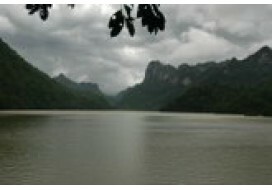 Established in 1962, CucPhuong is the oldest national park in Vietnam. Located only 120km southwest of Hanoi and nestled between the provinces of Ninh Binh, Hoa Binh and Thanh Hoa, Cuc Phuong boasts engaging cultural and wildlife heritage and enchanting scenery. Magnificent limestone mountains rise up majestically from the green rice-terraces and traditional stilt houses of the Muong hill-tribe. 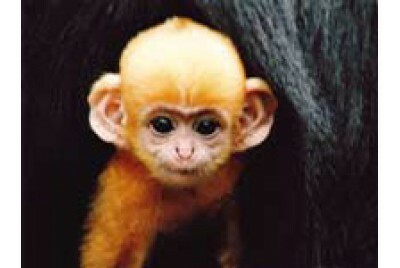 Covered in a dense forest they form a habitat for some of Asia's rarest species. It is no wonder that researchers, naturalists, enthusiasts and conservationists alike are drawn to this corner of the world. Your excursion departs at 7.00am from hotel, just 3 hours road trip will take your to the most important natural preservation in Vietnam. After about 1 hour to visit the Primate Rescue Center, a slow drive for 7 kms through the primitive tropical rainforest takes you to the “ancient Man’s cave”, exploring this huge cave where relics of the ancient were founded. 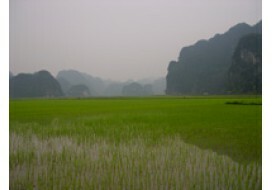 Walking within 2 hour in the this tropical rain forest then driving back to Ha Noi. The tour will finish at about 7.30 pm. Including : Car, lunch, entrance fees and English Spk guide.